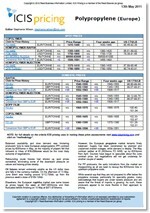 The Caprolactam price reports are published weekly in Asia and Europe. The independent pricing assessments cover spot and contract business, while the news and analysis provides an overview of market conditions, plus the impact on prices from demand/supply issues and upstream/downstream movements. 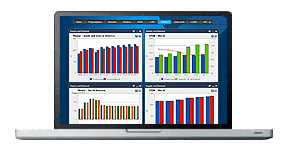 The market intelligence in these reports provides you with a trusted reference which enables you to make informed and confident decisions. Supply of caprolactam in the northeast Asian region was mixed in Q1 2019. In the first half, spot availability was ample as buying was mostly dampened by the approaching Lunar New Year holidays. With key regions China, Taiwan, and South Korea celebrating the festival, trade was slow before the break. Buying resumed after the holidays, and as Q2 will mark the beginning of turnarounds at key facilities in China and Taiwan, stockpiling has shortened supply. Demand for spot capro was mixed in Q1 2019. The start of the year saw increased demand as downstream nylon polymerization facilities were concentrated on fulfilling orders before the Lunar New Year holidays commenced. Demand then slowed as buyers were unwilling to hold excess stock pre-Lunar New Year. After the holidays ended, demand saw an increase as nylon facilities were looking at ramping up operating rates in preparation for the traditional peak months in spring. We offer the following regional Caprolactam analysis and news coverage to keep you informed of factors and developments affecting prices in the Caprolactam marketplace. Caprolactam occurs as white, hygroscopic flakes or crystals with a distinctive odour. It is soluble in water, cyclohexane, chlorinated hydrocarbons and is usually used, stored and transported in liquefied form at about 80oC. Caprolactam is an intermediate primarily used in the production of nylon 6 fibres and resins. Nylon 6 fibres are made into textile, carpet and industrial yarns. Nylon resins are noted for their performance properties including high tensile strength, excellent abrasion, chemical and heat resistance. They are the basis of engineering plastics, used in electronic and electrical components and automobiles, and oriented polyamide films used widely in food packaging. Conventional caprolactam technology is based on the key intermediate cyclohexanone, which is usually produced by the oxidation of cyclohexane. Cyclohexanone is then reacted with hydroxylamine sulphate to produce cyclohexanone oxime. This is followed by a Beckmann rearrangement using oleum to yield caprolactam.